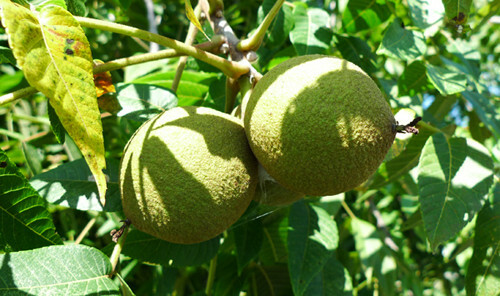 Walnuts are one of the most valuable and most helpful nuts known to man. They comprise many important vitamins, protein and omega 3 fatty acids. Precisely because of that nuts are convert in a valuable raw material that protecting human’s bones from fractures and injuries. Fatty acids have unique properties to strengthening health of bones and abbreviate the risk of traumas. They can be consumed as processed and raw. Walnuts are rich in askorbin, vitamins B1, B2, PP, carotene. Kernels are recommended especially for people with stomach problems. Recent studies indicate that nuts reduce the amounts of cholesterol in the human body and they have a positive influence in the battle against many serious illnesses such as atherosclerosis and cardiovascular disease. It's good for people who are engaged primarily with mental activity because nuts can improve cerebral blood flow. They are rich in vitamin E / vitamin-called anti-aging / and have good influence of physiological activity of the skin. Increasingly we hear about cosmetic products on walnut’s base. These nuts contain nutrients which help to heal scars and other skin pigmentation and give it shine. 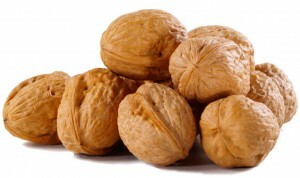 Some shampoos and hair conditioners are also made with walnuts - for smooth, shiny and healthy clumps. In addition, walnuts stimulate hair growth and reduce the risk of hair loss. Another feature typical for walnuts is their strong wood. It is has many and highly valued properties. Therefore finds a wide application in the production of furniture and interior design. Moreover, this kernel is a huge number of applications in cooking and home medicine. Scientists recently told the American Chemical Society that walnuts contain the highest level of antioxidants compared to all the other nuts. Antioxidants are notoriously known for their help for protection of the body against disease. Dr Vinson analysed the antioxidant levels of many different nuts and discovered that a handful of walnuts contained twice as many antioxidants as a handful of any other nut. Previous researches have shown that regular consumption of small amounts of nuts could reduce the risk of heart disease and cancer, some types of diabetes and other health problems. Generally, Walnuts are the healthiest of all the nuts and should be eaten more as part of a healthy diet, scientists from all over the world say. Nuts are recognized as having the potential to improve the blood lipid profile and, in cohort studies, nut consumption has been associated with a reduced risk of coronary heart disease. Randomized controlled trials of patients with type 2 diabetes have confirmed the beneficial effects of walnut kernels on blood lipids also seen in nondiabetic subjects, but the trials have not reported improvement in A1c or other glycated proteins. A study that has addressed this issue directly is the evaluation of this type of nuts consumption and risk of type 2 diabetes is the Nurses Health Study. According to it, consumption was inversely associated with risk of type 2 diabetes after adjustment for age, BMI, physical activity and alcohol and total energy intake, and mostly - diabetes. 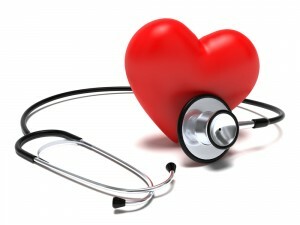 It's a well known fact that all nuts contain heart-healthy omega-3 fats. Concretely the walnuts (14 halves contain 185 calories, 18 grams fat, 4 grams protein) have high amounts of alpha linoleic acid. According to many recent scientific studies, ALA may help heart arrhythmias, and one more important fact - walnuts are as effective as olive oil at reducing inflammation and oxidation in the arteries after having a fatty meal. Eating about eight walnuts a day is recommended for optimal protection of your heart. While all kinds of nuts contain heart-healthy omega-3 fats, walnuts especially (14 halves contain 185 calories, 18 grams fat, 4 grams protein) have high amounts of alpha linoleic acid (ALA). Scientific researches have suggested that ALA may help heart arrhythmias. Also, a Spanish study from 2006 suggests that walnuts are as effective as olive oil at reducing inflammation and oxidation in the arteries after consumption of fatty meals. The authors of this study, funded in part by the California Walnut Commission, recommended eating about ten walnuts a day to achieve such benefits. For decease prevention, Relatively low in calories, almonds have more calcium than any other nut, making them a great food for overall health. They are rich in fiber and vitamin E, an antioxidant too that helps fight inflammation and possibly health conditions such as lung cancer and age-related cognitive decline. All kinds of nuts are about equal in terms of calories per ounce, and in moderation, are all healthy additions to any type of diet. "Their mix of omega-3 fatty acids, protein, and fiber will help you feel full and suppress your appetite," says Judy Caplan, RD, a spokesperson for the Academy of Nutrition and Dietetics. The lowest-calorie nuts at 160 per ounce are almonds (25 nuts for 7 grams protein and 15 grams fat); cashews (16 to 18 nuts for 5 grams protein and 13 grams fat); and pistachios (50 nuts for 6 grams protein and 15 grams fat). Avoid nuts packaged or roasted in oil. Instead, eat them raw or dry roasted, says Caplan. Roasted nuts may have been heated in hydrogenated or omega-6 unhealthy fats, she adds, or to high temperatures that can destroy their nutrients. Generally the Light-colored black walnut kernels have significantly milder flavor than the darker ones. In case you prefer the light-colored kernels, hull the walnuts immediately after they drop from the tree, because allowing the hulls to partially decompose before hulling may cause a discoloration of the kernels. The hulls are thicker and fleshy at maturity. They could be mashed and removed by hand, but of course, using some mechanical devices such as a corn sheller make the job much faster and way more convenient. After hulling, the nuts should be washed thoroughly and spread out away from sunlight to dry for about 3 weeks. After that they should be stored in a cool and dry place. Kernels that have been tempered before the shell is cracked are easier to remove. Soak the nuts in water for few hours, drain, then keep in a closed container for about ten more hours. The kernels should then absorb enough moisture to become tough, but still will remain loose in the shell. A lot of recent studies have indicated that walnut kernel consumption is associated with an apparent protection from coronary heart disease. These data, together with evidence that nut consumption is also associated with reduced LDL cholesterol concentrations and possibly raised HDL cholesterol levels, have reversed the proscription against nut consumption for those at risk of CHD. Nuts were formerly regarded as high-fat foods and were therefore contraindicated for those for whom caloric restriction was required. The current acceptance that walnuts are no longer detrimental and may now be recommended for individuals at risk of heart disease has prompted a reevaluation of the possible role of nuts in the diet for diabetics. There is, however, one rather important consideration with respect to nutrient bioavailability and bioaccessibility from whole nuts vs. ground nuts (e.g. almonds vs. almond butter). Studies have also shown that several dietary components from whole nuts are poorly absorbed, possibly due to the cell wall structures in the almond kernel. Thus, one would expect ground nuts to have a higher bioaccessibility of nutrients. 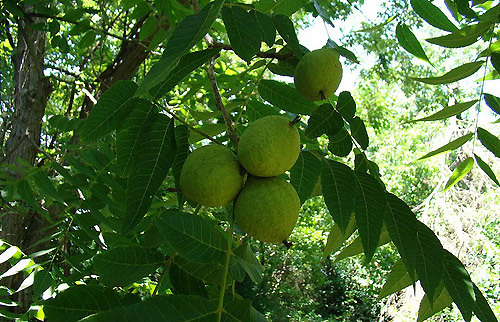 Walnuts must be green and newly fallen or shaken from the tree. Processing should begin right away, because the walnuts will begin to decompose if left in a bucket or box. Gathering the fruit is one of the easy tasks when processing walnuts. The next step is where the challenge begins. You need to get the edible nut out of its rock-hard armored casing. Squirrels, the masterminds of seed pilfering, figured out long ago how to get the job done with only their teeth, but we humans are dentally challenged by comparison. So, using our arguably superior intelligence and — we have invented all kinds of tools to crack walnut husks. The most common and basic method of cracking the husk requires a hammer, a hard surface and a towel. Walnut-busting basics are predicated on the issue of extracting the nut without getting the indelible stain of the husk all over your hands, that is why a towel is in fact required. In the old days, slow food was the only food and often people gathered to make the laborious process of processing walnuts a party. Once the walnut shells are extracted from the husk, you can soak and then cure the whole shells for storage, or you can skip that part and soak them for 24 hours prior to shelling. Shelling will reveal the treasure - nutritious nutmeat.